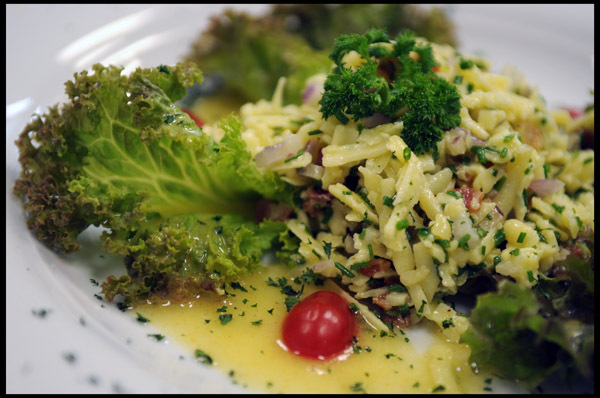 2011 February « GASTHAUS: got 'kraut? 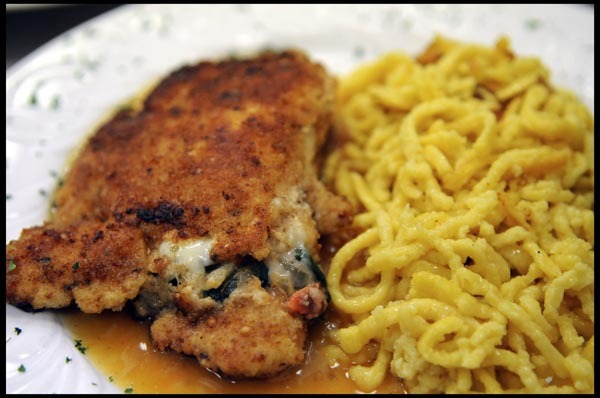 Chicken breast filled with fresh Spinach, Tomatoes, Onions, Garlic and Swiss Cheese, a Parmesan Oregano Bread Crust on a Tomato, Oregano sauce served with Spatzle. This week only we are offering DEINHARD Lila Trocken Sparkling Riesling for a special price of $30 a bottle. It’s fun to drink when the bubbles tickle your mouth and nose! Come and try one yourself!! We have a new delicious salad this week. We have a feeling it’s going to be a hit with our customers…. 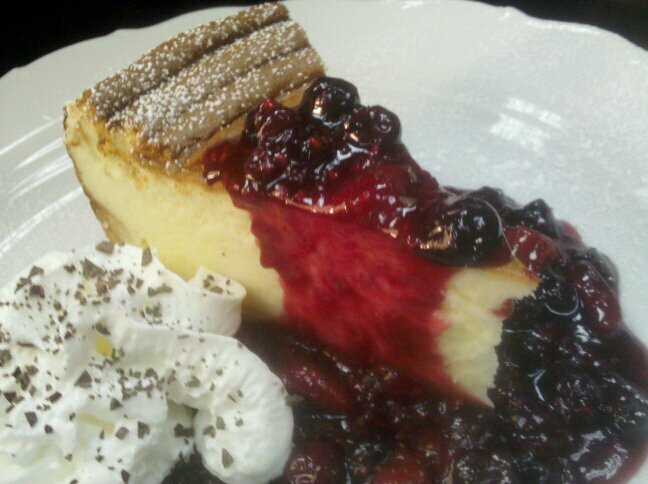 German Cheese Cake served with home-made berry sauce. Beef “Porto”: Beef Tenderloin in a Port Wine Sauce with Mushrooms, Onions and Carrots, served with Pan-Seared Red Skinned Potatoes.